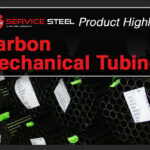 Service Steel proudly introduces its all-new Cincinnati, Ohio steel tubing micro-site. This is the second in a series of location based micro-sites designed to provide Service Steel customers with convenience and value.The brand new micro-site is designed to provide Service Steel customers located in the Cincinnati, Ohio region with a detailed list of specialized steel tubing products and services specific to their area. These products include: Cold Drawn Seamless Tubing, Zinc Plated Hydraulic Tubing, Mechanical and Structural Shaped Tubing, Aluminum Tubing and more. In addition to localized products and services, customers can also quickly access the latest steel deals and browse the many discount steel tubing products currently available. 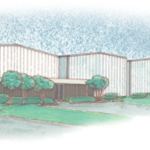 The brand new Cincinnati, Ohio steel tubing micro-site also provides customers with access to a steel tubing weight per foot calculator, a steel tubing cutting calculator and a variety of metric conversion calculators. Also included in the new micro-site is a direct link to the all-new Service Steel Cincinnati, Ohio Google Plus page. Customers using Google Plus may now enjoy a quick and convenient way of learning more about Service Steel Cincinnati. New additions to the Service Steel family of location based micro-sites will continue to be added. Check the locations page of the main website for more information and updates.